First take buckwheat and grind into flour. Then place all dry ingredients into a bowl. Mix together. Add in your stevia or sweetener of choice. Continue to Mix. Next add in your 2 eggs. Whisk. End with whisking in your coconut milk. You want a smooth batter. Scoop pancake batter onto skillet over medium heat on stovetop. Cook on both sides for a few minutes. 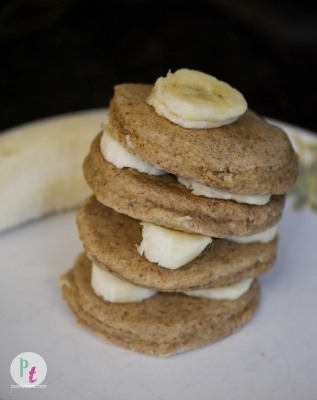 Top with banana or maple syrup and enjoy.